Do I Choose PVC Piping or CPVC Piping? | Weilhammer Plumbing Co. Inc.
← Should I Replace My Home Plumbing System? Whether you are replacing your plumbing, as talked about in last week’s blog, or you are building a new home from the ground up, at some point you will be faced with the decision of choosing your plumbing materials. When it comes to piping, there are several materials to choose from, including copper, galvanized steel, brass, and of course, PVC. PVC, or polyvinyl chloride, piping is one of the most popular choices due to its durability, longevity, ease of installation, and price-point. If you are leaning toward PVC piping, you are on your way to making a wise decision. However, you may come across a seemingly similar plumbing pipe known as CPVC. If you do come across this term, it may confuse you; but rest assure that there is nothing to be confused about! 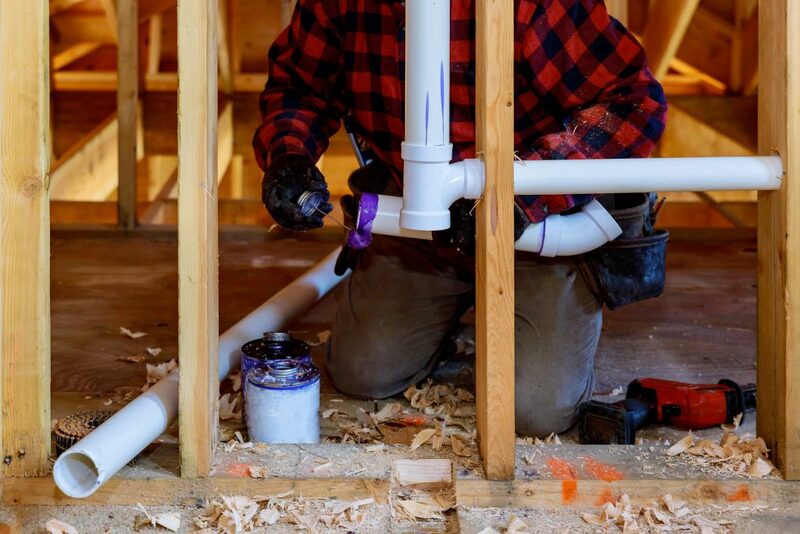 Continue reading to learn the difference between PVC and CPVC piping, and be better prepared to make the right decision for your remodeling project. As mentioned, PVC is an acronym for “polyvinyl chloride”, which is a thermoplastic material that is molded into various casts to create commodities like plumbing pipes. In the plumbing industry, you will see PVC in the form of white plastic piping material that is typically used for piping and drainage systems. It is also commonly used to create valves, fittings, and other liquid-management supplies. Now that you have a basic understanding of PVC piping, you can better understand CPVC piping. CVPC piping is really just a cousin to PVC in that it is made from mostly similar thermoplastic materials and used for similar applications. However, there are some significant differences, so both piping materials should not be used congruently. You see, although both piping materials are made using similar ingredients, CPVC piping is altered by a free radical chlorination reaction, which in turn, increases its chlorine content. The chlorine content in CPVC piping allows the material to withstand a wide range of temperatures, up to 200 degrees Fahrenheit. For this reason, many commercial building codes mandate the use of CPVC piping for hot liquid (water) applications. According to ASTM standards, PVC piping is accepted for plumbing applications that do not exceed 140 degrees Fahrenheit. ❖ PVC uses Nominal Pipe Size (NPS) for sizing, while CPVC using both Nominal Pipe Size (NPS) and CTS (Copper Tube Size) sizing. ❖ Each material requires a different standard of primers and solvents due to the differences in their chemical makeup. Contact Weilhammer Plumbing Company at 317-784-1870 for help with your plumbing renovations and remodels. Our Indianapolis master plumbers have been in the plumbing business for over 100 years because we have earned the trust of thousands of Hoosiers all across the city as a result of our professional service and outstanding results. Request a free estimate or advice, today. This entry was posted in Plumbing Pipes and tagged CPVC vs PVC, plumbing pipe materials, plumbing pipes, pvc cpvc difference, what is cpvc piping. Bookmark the permalink.